The career of Helen Clark typifies the efforts of the "Friends of the Indians" during this time period. She worked hard to educate and defend the Spokanes, but also to get them to abandon their traditional culture. Helen Clark, one of the first white school teachers on the Spokane Reservation, was a Scottish Presbyterian who worked with the Women’s National Indian Association. Clark arrived on the Spokane Reservation in 1894, one of the only non-Native American women living on the Reservation. At Wellpinit she became friends with Chief Lot, who she described as having "a keen sense of humor and a smile often lights up his face.” Clark taught children as well as married couples, who camped in tents near the schoolhouse, even in harsh winter conditions with temperatures below zero. In 1894, the Secretary of the Interior set aside five acres of land for a school. Miss Clark taught the students, as well as worked in the garden and fruit tract. She was isolated while living on the Wellpinit Reservation, twenty-five miles from any store or post office, but, armed with her bible, she was determined to teach. The school opened in 1895, with 35 pupils in attendance. By the end of the month, 50 students were enrolled. "They seem to have a great craving for knowledge," Clark wrote of her pupils in 1897. The army at Fort Spokane was disbanded in 1899 and the barracks became a boarding school. 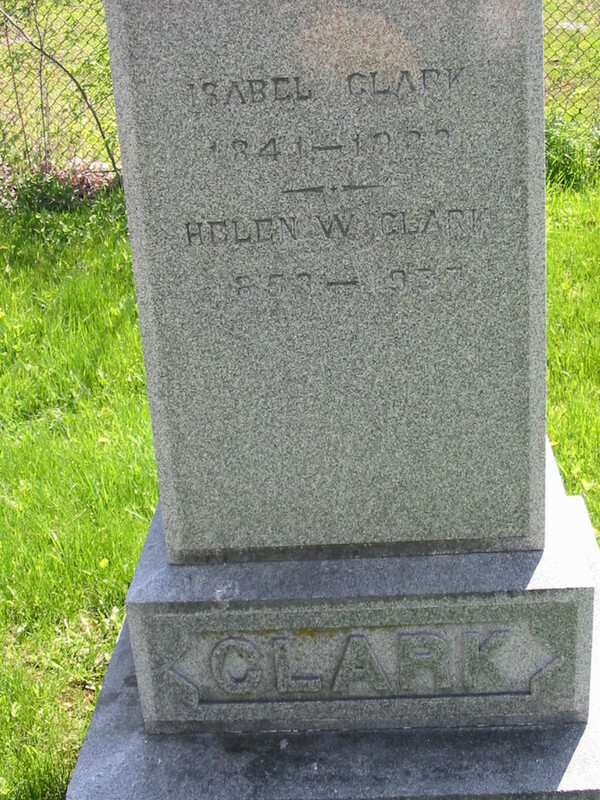 This meant that her services were no longer needed and Clark was transferred to a mission in Neah Bay, Washington, where she taught for over twenty years. Attempts for her return to the Spokane Reservation were made and she would say that, “If I followed my heart instead of my head I would pack up and be off next week.” She eventually moved back to her hometown of Huntingdon, Quebec where she passed away in 1937. Nicolle Southwick, “Helen W. Clark: Early Teacher and Patronizing Friend to the Spokanes,” Spokane Historical, accessed April 24, 2019, https://spokanehistorical.org/items/show/674.